In this case Bortles is nothing more than a bye week plug in, or a bridge player for any injuries/trades. Bortles has scored at least 9 points in each contest this year, and has averaged 18 points over his last 3 starts. Couple that with the fact that he is playing horrid Tampa Bay and the emergence of Allen Hurns , Allen Robinson, and TJ Yeldon and you got a nice Week 5 start. I just wouldn’t bank on him long term. 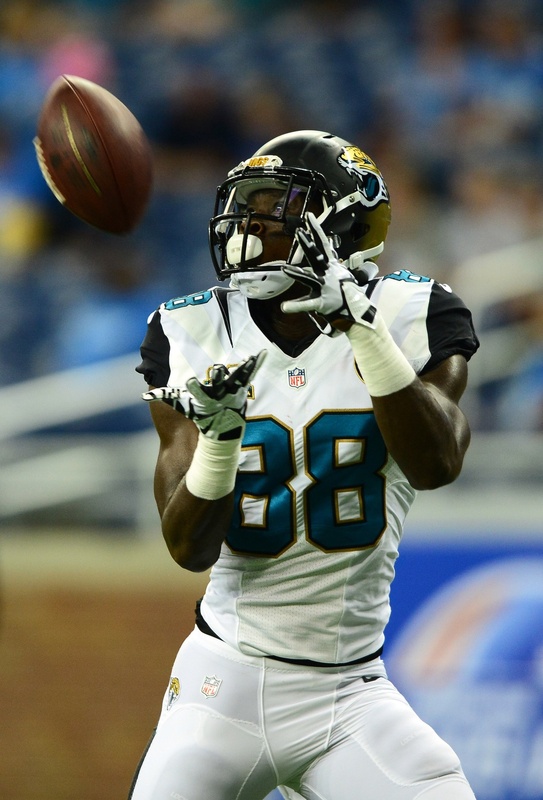 The second Jag on this list, Hurns is leading the Jaguars in receptions this season. Yes, I know he is on the Jaguars and is technically the second receiver. I believe Hurns is a smart waiver wire pick up, and even merits Week 5 play. Why? Leading the team in receptions means he has a good rapport with Bortles and through 4 weeks, that has shown through. Other than that he is playing Tampa Bay, the same Tampa Bay that allowed Ted Ginn Jr 2 TD receptions last week. He might not be destined to break out in 2015, but he has potential to break out this weekend. Cruz is still hurt so Randle is still the #2 guy for the Giants. He might not be the best #2, but he has drawn the attention of Eli Manning since his 1 catch 5-yard performance in Week 2. With back-to-back TD games including a red zone TD last week, I am looking at Randle as high risk/high rewards flex option, especially this week against a poor San Francisco defense. This one is tricky. If Steve Smith does not play (which it looks like he won’t) Aiken figures to be the #1 guy in Baltimore. Problem is, Baltimore is not good. The plus is Browns lockdown corner Joe Haden is still not 100% and the Browns have allowed an average 14.5 yards per reception this season. Plus Flacco has to throw the ball to someone, right? Aiken is definitely worth some attention, especially for Steve Smith owners. Hankerson is ahead of Roddy White as the #2 receiver. That is clear. Ryan has found him 17 times in 4 games for 2 scores and 241 yards, and with White now complaining, “I’m not out here to sit around and just f**** block people” he might gain even more favor in Atlanta. The Freeman show cannot last forever, it is just impossible, eventually Atlanta will have to rely on their passing game which puts value on Hankerson; especially in games with a good corner covering Jones. There’s something magical going on in Atlanta this year and I suggest buying high on their players and riding it out.